Sophia Eggleston claims that Taraji P. Henson's character, 'Cookie,' is based on Eggleston. Sophia Eggleston, who lives in the Detroit area, said she managed to catch the end of an episode of “Empire” earlier this year by accident. 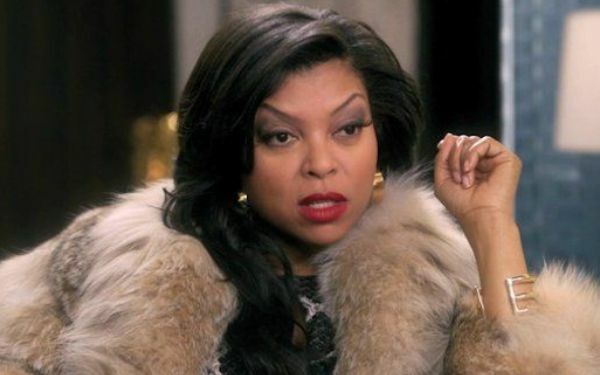 She said as she started watching the Fox drama, a Chicago-filmed show about a hip-hop mogul and his family, she began to notice similarities between the Loretha “Cookie” Lyon character and her own story. “The whole city knows me. The whole city was calling me,” Eggleston, 53, told the Tribune Tuesday. Eggleston claims she shared her memoir, “The Hidden Hand,” in 2011 with writer Rita Grant Miller, who said she would pitch her story to “Empire” co-creator Lee Daniels. Eggleston is alleging that Miller stole her story for the show, which debuted in January, and she’s suing Miller, Fox and Daniels for $300 million for copyright infringement. “This (expletive) just stole my life story. No she didn’t,” Eggleston said. In the lawsuit, which was filed in May in a Michigan court, Eggleston lists similarities she shares with Cookie, including that they are both drug kingpins who went to jail, they both placed a “hit” on someone after being released from jail, they both have expensive wardrobes of mink coats and both have a relative who is gay (Cookie a son on the show, Eggleston a brother). Eggleston, who said her legal team picked the $300 million figure, is seeking a jury trial. “Empire” co-creator and writer Danny Strong and show writer Malcolm Spellman are also named as co-defendants in the suit. This is not the first “Empire” lawsuit. A California man filed a $1 billion lawsuit earlier this year claiming his story was used for the show, according to TMZ. Season 2 of “Empire” is expected to return in September. The show filmed at the Art Institute last month, according to media reports.